Mumbai: ICICI Bank today said that a lenders consortium led by it has concluded the biggest asset resolution in the country with consummation of the Rs. 16,189 crore takeover of Jaypee Cements by Ultratech. “This is the largest asset resolution in the country so far and I hope that this landmark transaction will pave the way for more such resolutions,” Chanda Kochhar, ICICI Bank managing director and chief executive, said in a statement. Even though the exact gain to the lenders is not mentioned in the statement, a March 2016 media report had pegged banks would receive about Rs. 4,000 crore from sale. ICICI Bank was the lead bank in the lenders’ consortium and played a “significant role” in the sale process, Kochhar said. She said a decision to to reduce Jaiprakash Associates and Jaypee Cement’s debt was taken more than a year ago and its subsidiary ICICI Securities was appointed to manage the sale process. “ICICI Bank has played a significant role through this entire process, enabling successful completion of this transaction,” she said. The bank said the transaction is significant because a part of the debt of Jaiprakash Associates and Jaypee Cement has been transferred from a stressed account to an AAA-rated new company. On March 31, 2016, UltraTech, the largest cement company in the had announced its intension to take over the troubled JP Cement for Rs. 15900 crore and ealier this year the valuation was increased to Rs. 16189 crore. Birla group chairman Kukar Birla had on March 1 this year expressed hope that the sale process would be completed by June. The deal will take the Birla firm’s capacity to over 91 mtpa, as the Jayepee deal will increase its capacity by 21.2 million tonne per annum while it help the JP group pare its debt pile. The transaction excludes the 1.2-million tonne plant in Karnataka. The Jaiprakash Associates had debt of alarmingly high Rs. 60,000 crore and the deal was forced by the lenders. Post-Birla deal, Jaypee will continue to have 10.6 mtpa cement capacity in MP, UP, Andhra and Karnataka. Many banks had to take a hit with provisions in Q4 of FY17 due to the deal not going through and had expected a write-back with the conclusion of the sale process. 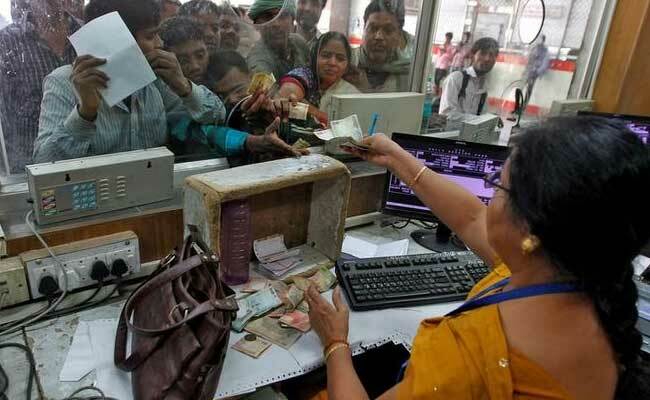 Announcement comes a week within banks clearing the Rs. 86,000 crore Rosneft-Essar Oil deal which will also help banks. The Eassar Oil owed more than Rs. 26,000 crore in debt to 23 lenders led by SBI apart from a Rs. 1290 crore to LIC. The ICICI Bank scrip closed 0.95 percent up at Rs. 293.70 on the BSE, whose benchmark ended the session with a marginal gain of 0.08 per cent.